Read this and you'll never buy new again. Buying a new car is for most people the second most expensive purchase they will make, yet the allure of getting the keys to a brand-new vehicle fresh off the production line can be very exciting. can help to lower the costs while still giving you the opportunity to drive a nearly-new late model car in the process. To highlight where the savings are mode, we have listed the five main benefits of buying CPO instead of new. Most manufacturers have strict rules governing CPO vehicles. In general, they have to be under six years of age and have covered less than 85,000 miles to qualify. In reality, most CPO cars on dealers lots are around two to three-years-old with minimal mileage. If the particular model you are interested in has just been replaced, then the savings can be substantial as manufacturers try to shift their remaining stock. While nearly-new models already offer decent savings, the older cars can often be great bargains if you're not too fussed about driving the latest thing. While the number varies it is generally agreed that . 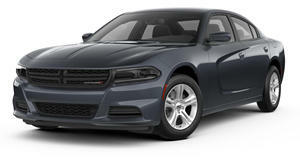 That 2018 Dodge Charger R/T you bought for $36,000 last year will have already cost you around $7,000 in depreciation. Luxury and sports cars often depreciate at an even faster rate, not great if you bought one new but fantastic news if you are going the CPO route. Since the original owner will have already paid this price, you will be saving thousands of dollars on even a modest family sedan and the depreciation is not quite so bad as the car gets older. Many people stick to new cars citing the great lease deals that are on offer. The truth is that the majority of CPO cars can be had with the same lease offerings as their brand-new counterparts; dealers often run special CPO-only deals on certain models when they have extra stock or need to prepare for the launch of a new model. In these cases, the finance deals offered can be even better than you would find on a new car. And remember that you are already saving money on the lower sticker price in the first place.
. It's hard to argue against the peace of mind that comes with it, so we won’t. Not many people know that while CPO vehicles come with the same manufacturer warranty, in some cases they are actually better than what you get with a new car. CPO vehicles are always going to be cheaper than a new car, but you may be tempted by lower-priced alternatives from non-franchised dealers which claim to be just as good as a manufacturer certified vehicle. What these dealers are referring to are their ‘dealer certified’ vehicles, but what they cover is not governed by the manufacturer and if the dealer goes under then so does your certification. There may be a slightly higher up-front cost for going the proper CPO route but inevitably you get what you pay for. The likelihood of someone driving off in their brand-new car without having ticked at least some of the options boxes is highly unlikely. That is good news for you when you take ownership a few years later, that $1,500 leather interior and $1,000 navigation system are now all bundled into the overall vehicle pricing, adding at most a few hundred dollars to the total. You may not always find the exact specification you are after but when the savings are this substantial that is unlikely to be a big deal. With so many benefits available to buyers of CPO cars, it is a surprise that so many new cars are still being sold. Perhaps that's for the best, at least this way there'll be a constant stream of nearly-new used cars for savvy shoppers to choose from.